The officer screamed and ran for his life. Hilarious video footage has caught a police officer on duty screaming in fear after a sniffer dog led him to a snake. In the video posted on Facebook by ViralBru on Monday, the officer is seen preparing his dog for a search, the Rekord Centurion reported. After circulating the area for a while, the dog suddenly stops, and the officer confidently walks towards it to investigate its find. 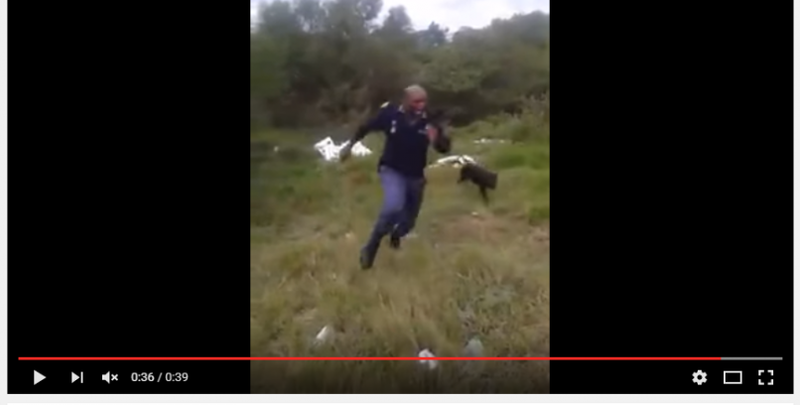 When realising the dog found a snake, the armed officer jumps and screams in fear while running for his life. It’s unclear when and where the incident took place.